We know about the potential health benefits of turmeric, a popular Indian spice that has been shown to have potent anti-inflammatory and even anti-cancer properties. But there’s a problem when it comes to getting enough turmeric: the bright yellow spice is not easily absorbed into the body. 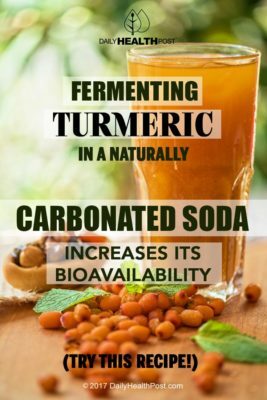 Fortunately, fermenting this spice in a naturally carbonated soda may just be the key to increasing the bioavailability of turmeric, at least according to a study published in the International Journal Of Food Science And Technology. According to the study, turmeric’s bioavailability increased significantly in rats when the turmeric was administered as part of a fermented beverage. Here’s a simple recipe for a naturally fermented turmeric drink, which can help you reap the benefits of this important dietary element. Stir, screw on the lid and sit on the counter for 2-3 days in hot weather, 4-5 in winter, or until slightly bubbly. Stir or shake a little occasionally. Strain into bottles with a loose cap. 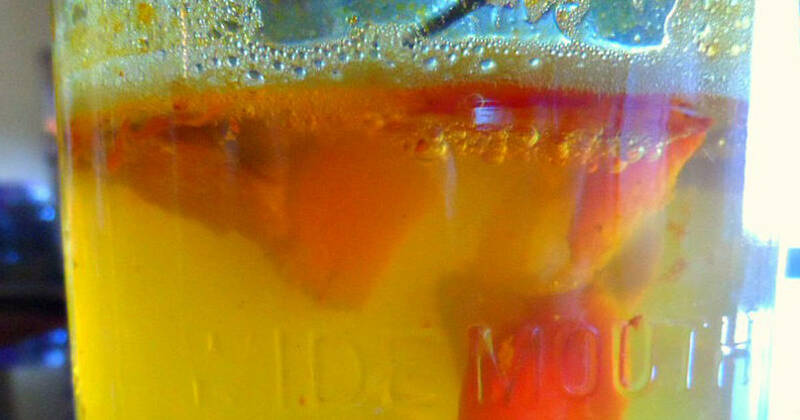 Allow to carbonate for another 2-3 days at room temperature, and then put in the fridge. It will last a week in the fridge before it goes vinegary. According to the study mentioned earlier, fermented turmeric just has a much higher bioavailability – meaning the body has an easier time absorbing it and putting it to use(1). This was true in the rat models researchers tested it on, and they strongly suspected that it is true in humans as well. When not fermented, turmeric has health benefits as well, but it takes larger doses to get therapeutic effects(2). Whether raw, cooked or fermented, turmeric has a notable place in both ancient and modern medicine, being used to treat a multitude of conditions. Studies have shown it can help with chronic inflammation and pain, and its uses are being extensively studied by many doctors and researchers(3).